Morning Motivation — What footprint are you leaving? What footprint are you leaving? Wherever you walk, whatever you say, however you behave it’s leaving a mark, an imprint, an impression. 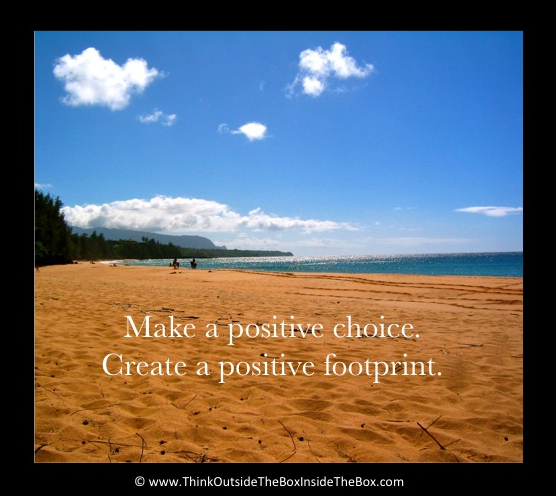 What footprint are you creating? How you eat leaves its mark on your body. How you speak affects those around you. How you act impacts what you accomplish. Every little thing—a thought, a word, an action—leaves a footprint in the world. Consciously create what you are putting out in order to leave a positive trail behind you.